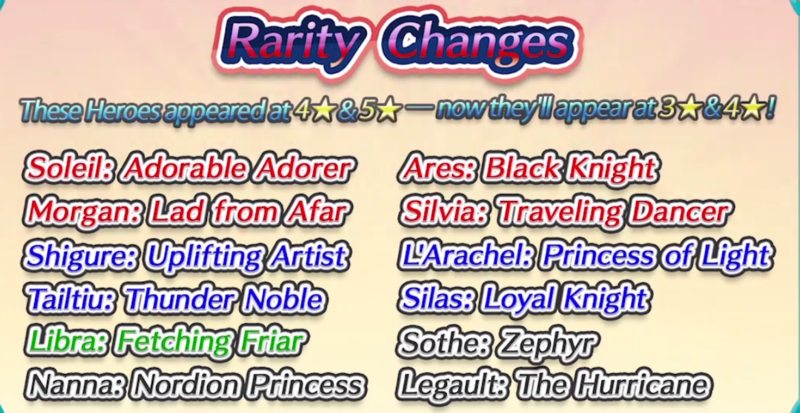 As already revealed as part of the recent Feh Channel, all 5-star exclusives that were released before version 1.8.0 will be removed from New Hero banners, and New Special Hero banners. So basically, all 5-star exclusive Heroes that were introduced during and before the first Farfetched banner (Mia, Dorcas, Lute) have been affected. However, these Heroes will still be part of the off-focus summoning pool in all other types of banners, including re-runs of older Special Heroes banners. These Heroes can still potentially appear in future Legendary and Mythic Hero banners. A more permanent change being made is that there are a handful of 4-5-star Heroes being demoted to the 3-4-star pool. A new mode was introduced during the recent Feh Channel. To save myself some time having to write up everything revealed about the mode, why not just click here to read Elieson’s Feh Channel roundup (scroll down to the “Aether Resort” section). The size of the ver. 3.4.0 download for HQ players will be 620 MB in size thanks to the new Aether Resort mode. So be sure you have a fast, stable connection for your update. If your mobile data plan has tight monthly limits, it may be in your best interests to update using your neighbour’s open wi-fi connection. The update data is replacing current data, for the most part. Your final FEH size will be “just” 110 MB bigger with v.3.4.0 than it was with v.3.3.0. If you think you’re going to have problems, there’s always the Lite version for you to try. Heroes artwork, sound clips and music get butchered, but it’s worth it if you’re really desperate for space on your device. If you were wondering what that double lightning bolt icon was that came with Legendary Roy, this is it. 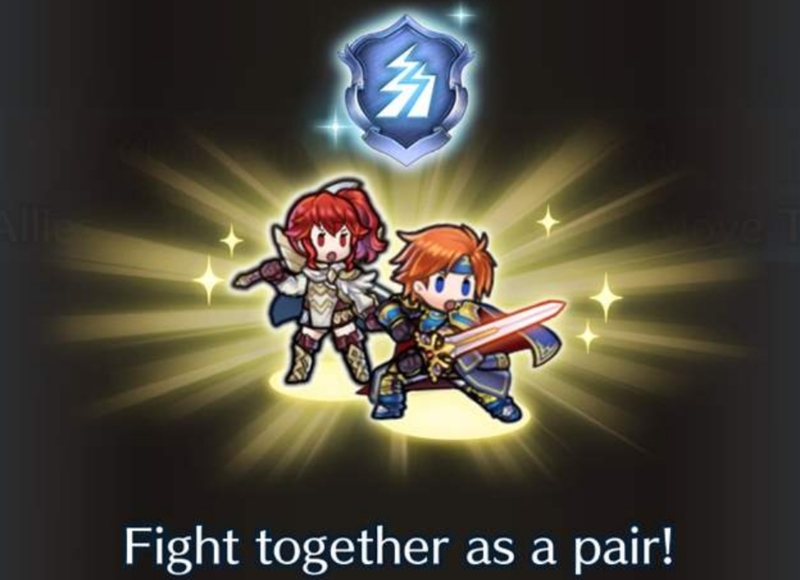 Pair Up is a new skill for Legendary Heroes that works in the following game modes: Main Story, Paralogues, and Training Tower. The new mechanic can also be used within the upcoming game mode, “Allegiance Battles,” when it becomes available on the 27th of April, 7:00am UTC. 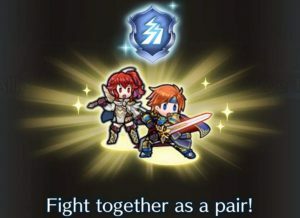 You can click here to read more information on the Pair Up ability and the Allegiance Battles game mode as part of Elieson’s Feh Channel coverage. Raiding Parties are now split between Light and Astra seasons – up to 5 parties can be formed for each season. The purple icon to the left of the ? icon allows you to switch between this new party setup and the traditional 5-team limit we currently have. Also worthy of note: a tactical boost to a player’s offensive power if they are in Tier 12 or below: Players between tiers 1 to 12 can enjoy up to +4 levels on their Fortress (O). That should make battles a breeze, considering allies earn +4 to each stat for every level their Fortress (O) is above the enemy’s Fortress (D). Very nice. Four more older Heroes are finally receiving their personal weapons. Cain will receive the Bull Blade. Hana will receive a katana named after herself. Abel will receive the Panther Lance. Peri will receive a lance named after herself. Information on what these new weapons and their refines will do, but we’ll be there to cover it when it’s revealed. 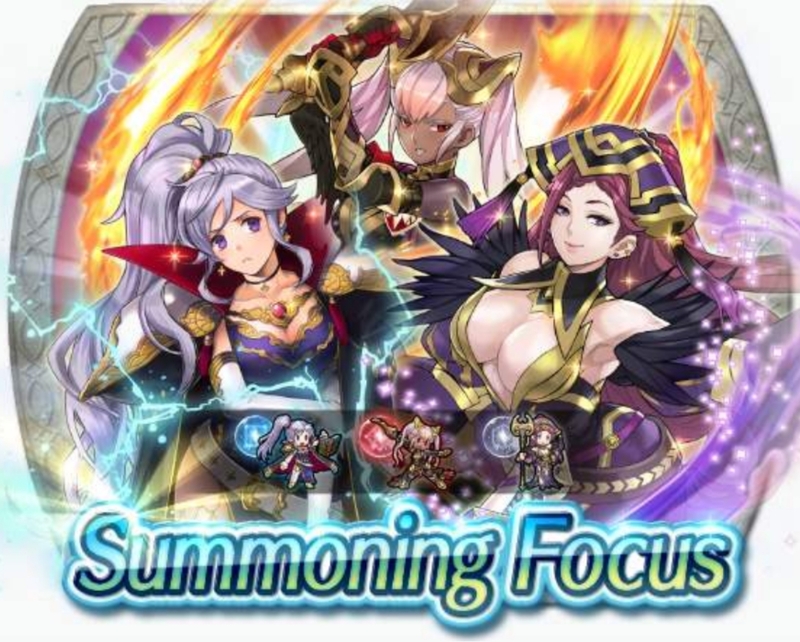 Titania: Warm Knight and Panne: Proud Taguel are now available for summoning via the use of Heroic Grails. Merging Allies is seeing some quality-of-life improvements. The remaining ally will take over Sacred Seals and accessories equipped by the source ally, as well as any positions that the source ally may have had in any of your teams. If the remaining ally already has Sacred Seals or accessories equipped, they will not be carried over. That’s it for the upcoming v.3.4.0 update. What are you most looking forward to? In other news, landing today we see a new themed bannner: Heroes with Odd Wave Skills! On focus here are Ishtar: Thunder Goddess, Loki: The Trickster, and Laevatein: Searing Steel. The banner begins today and will be available until the 16th of April, 6:59am UTC. Do you also happen to know if dragon flowers carry over in the new merging process? Personally still waiting on Rebecca to obtain the Rienfleche as a prf refine.